There was a time when I ate at Chinese vegetarian restaurants constantly. I’ve gone on a bit about this before. I loved those places! Most of them have a full menu that looks like a normal Chinese restaurant menu, but everything’s vegetarian. Towards the end of my time living in Philly, I started having lunch at this place, which was close to my office and a little different. They called the dishes what they actually were, which was nice, but actually made it a little tough to order. I mean, maybe I haven’t had meat in a while, but I at least have a pretty good idea of what General Tso’s chicken is. Offer me “soybean protein in garlic sauce,” and I’m suddenly confused. The Kung Pao dish on the menu was called Kung Pao dried tofu, which, initially, I wasn’t really sure about. Why dry your tofu? It’s so good when it’s all moist and squishy. I ordered anyway, and it turned out their dried tofu was analogous to my baked tofu. Ah. 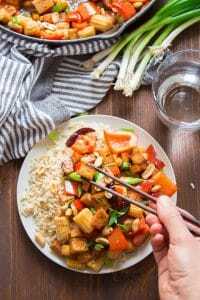 Baked tofu is delicious, and perfect with the finely diced and stir-fried veggies and crispy peanuts you find in any Kung Pao dish. So I when I went and decided to create my own version of Kung Pao tofu, I baked my tofu. That was a great decision! 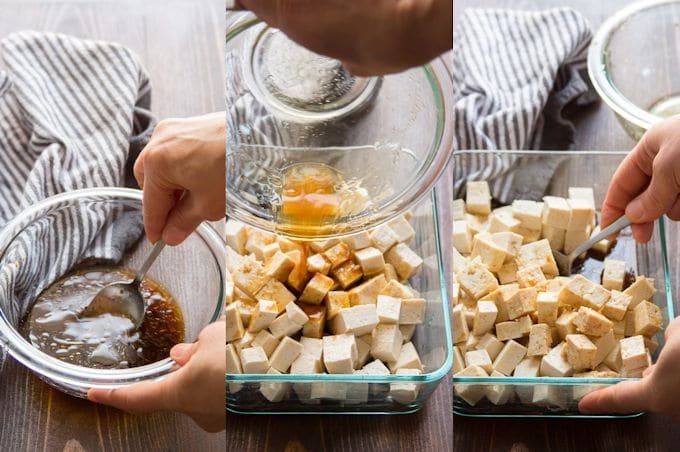 Dice your tofu, mix up some marinade and then pour it over your tofu and gently toss it to get all your tofu pieces coated. Ideally, let it soak for a while, but once again, I don’t always do that — just when I have the time! Arrange your tofu on a parchment lined baking sheet and bake it until the pieces shrink up and become very firm. Once your tofu has baked, you can move on to this step. As with any stir-fry, prep your veggies and mix up your sauce first. Things will move pretty quickly once you start cooking! Heat up some oil in a skillet and start cooking your aromatics: ginger, garlic, scallions (just the white parts) and dried chile peppers. Within less than a minute, the garlic and ginger should become very fragrant and your peppers should darken up a bit. Add your veggies at this point. Stir-fry the veggies just until they become tender-crisp. This should only take a couple of minutes. Finally, add your sauce, tofu, and peanuts. Continue to stir-fry everything for about a minute, until the sauce thickens up. Top with the green parts of your scallions and serve with rice. The baked tofu portion of this recipe does take some time, but it’s mostly hands off. To save time, you can prepare the tofu a day or two in advance. Store it in a sealed container in the fridge, and heat it up a bit before adding it to your stir-fry. 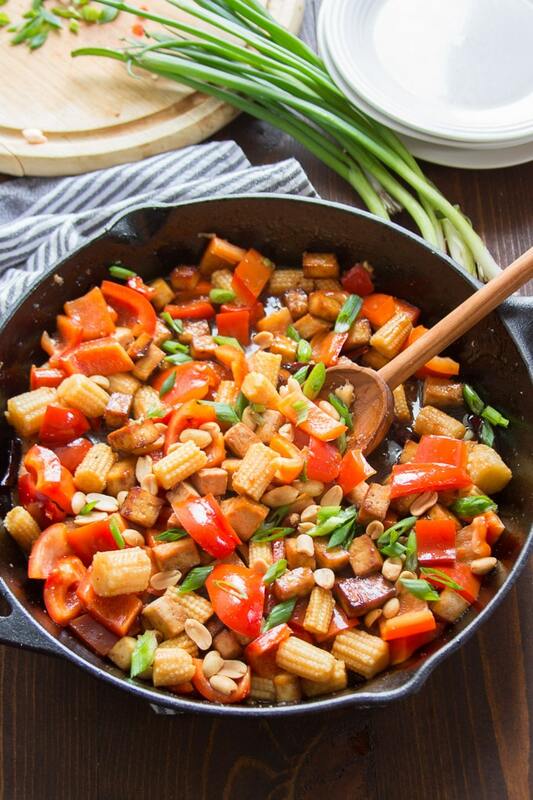 Feel free to use your favorite stir-fry veggies in place of the bell pepper and baby corn. Keep in mind that harder veggies may take a bit more time to cook, while softer veggies will cook faster. To keep this recipe gluten-free, use gluten-free tamari in place of soy sauce. This dish is meant to be on the spicy side. If you prefer a milder version or just want more control over the heat level, try skipping the dried chili peppers, or just removing the seeds (where most of the heat is). You can also adjust the amount of sambal oelek, and if you’re not sure how much to use, add it at the end, just a bit at a time. This Kung Pao tofu is made with chunks of gingery baked tofu tossed with stir fried veggies and peanuts in spicy sauce. 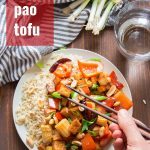 An easy vegan dinner that's better than takeout and easy enough for a weeknight! Stir the wine, soy sauce or tamari, maple syrup, sesame oil and ginger together in a shallow dish. Add tofu and toss to coat. 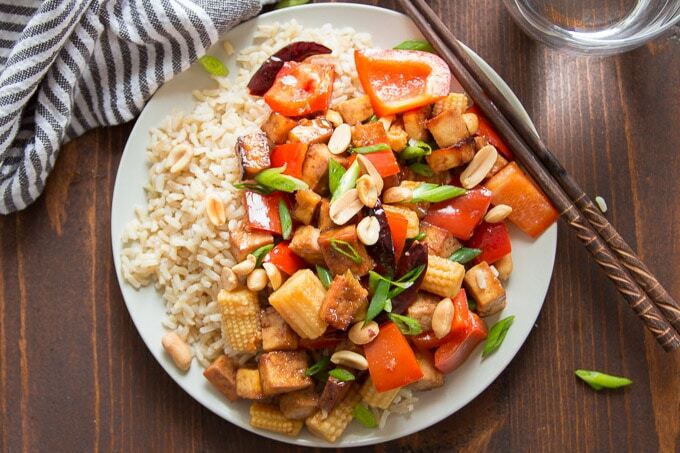 If you have the time, allow the tofu to marinate for 30 minutes or up to 12 hours in the refrigerator. If you don't have time, don't worry about it! Preheat the oven to 400° and line a baking sheet with parchment. 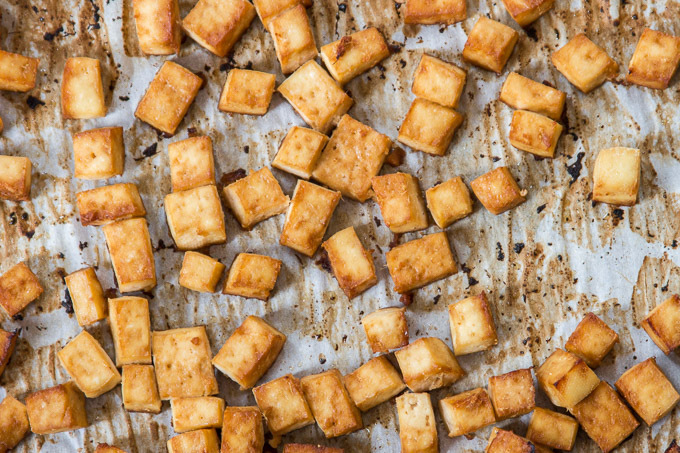 Arrange the tofu cubes in an even layer on the baking sheet. Bake the tofu for 30-35 minutes, until the pieces have darkened and shrunk significantly, flipping them halfway through. Whisk all ingredients for the sauce together in a small bowl. 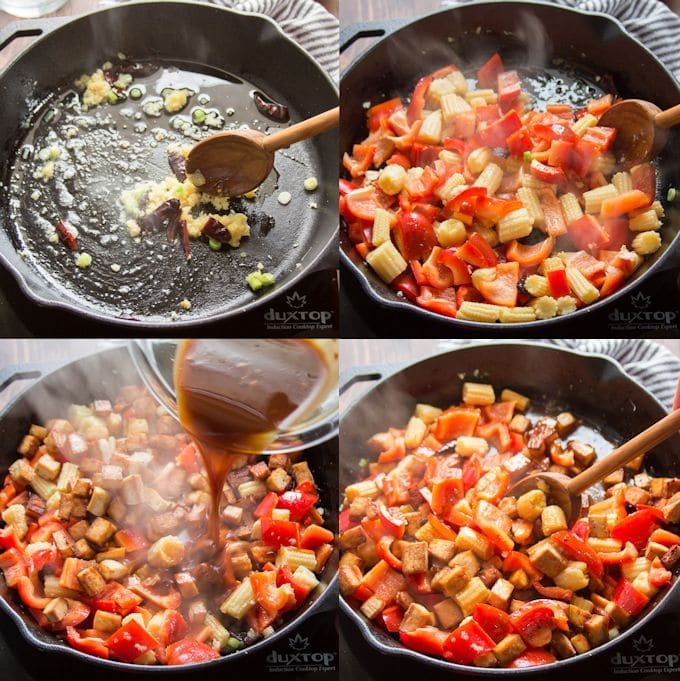 Coat the bottom of a large wok or skillet with the oil and place it over high heat. Give the oil a minute to heat up, and then add the garlic, ginger, white parts of scallions, and dried chili peppers to the pan. Stir-fry the ingredients until the garlic and ginger become fragrant and the chili peppers darken a bit, about 1 minute. Add the bell peppers and baby corn to the skillet. Stir-fry until tender-crisp, about 3 minutes. Add the sauce, tofu, and peanuts to the pan and continue to stir-fry just until all of the ingredients are hot and coated with sauce, about 1 minute. Remove the pan from heat and stir in the green parts of scallions. This is meant to be spicy! If you aren't into that, skip the dried chiles and the Asian chili paste. If you aren't sure of just how into that you are, just skip the chiles and add the chili paste at the end, a bit at a time. Looks totally fab!!!! Would like some. Haha! I’m not a fan of names of veggie dishes like Kung Pow “Chicken”, or Kung Pow Unchicken, Or Kung Pow Chiggun. I always prefer to call my food what it is and not what it isn’t. “Soy bean protein in garlic sauce” on the other hand doesn’t sound very delicious either! haha. I love how you named your version Kung Pao Tofu. Now THAT sounds (and looks) like a delicious veggie dish! Well done! This is my familiy’s favorite! Thank you for the recipe! I’m so glad it’s a hit! Thanks Abby!! I always freeze my tofu. It keeps for months. Thaw it out and squeeze it easily with your hands…like a sponge! Sometimes I get crazy squeezing it and it crumbles a bit. No big deal. I love freezing my tofu for recipes like tacos and chili where the tofu gets crumbled! Thank you so much for this recipe! We made a few modifications for what we had on hand, namely veggie stock instead of the wine, different veggies and some miso and vegan worcestershire in place of hoisin sauce. This was so much better than anything we could buy in West Texas. I am sure this will be a staple in our house when craving chinese food. 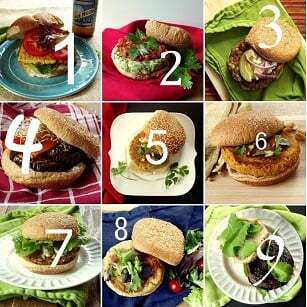 Thanks again for your time on this recipe! Yay! I’m so glad you enjoyed it!! Thanks so much Samantha!